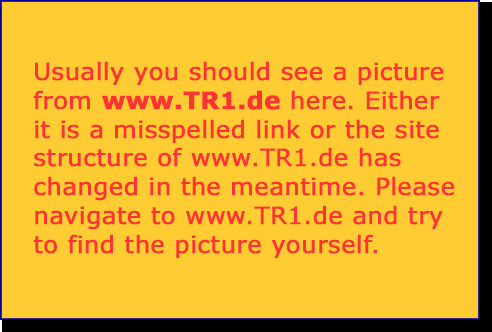 Weitere Informationen werden später ergänzt! More information will be added later! 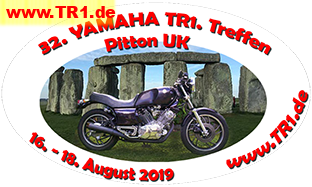 The 2019 TR1 Rally will be held in the UK. The proposed date is 16th – 18th August 2019. This date is just prior to the 2019 Manx Classic Tourist Trophy. Riders can come here then go on to the Isle of Man if they wish. The Rally will be held in my home village of Pitton. Pitton is 7 miles (11 km) from Salisbury and 10 miles (16 km) from Stonehenge. We are also 130 miles (209 km) west of Dover. The world standard Sammy Millar motorcycle museum is 30 miles (48 km) from here. As you may be aware the UK are in the process of the leaving the EU. Or, they may not! Despite what the politicians are doing I am planning to host a rally. So. I have checked and the current situation is that, if you are an EU citizen, you can travel into the UK using a EU identity card or a Passport. You can also ride in the UK using your European driving license and do not require an international driving license. I will monitor this closely and if the situation changes I will let you know. I have arranged camping in our village close to the village hall. If anyone requires rooms, B&B (bed & breakfast) or hotel rooms please let me know and I will do my best to arrange those for you. My email address is: kdemery@btinternet.com. If anyone has special dietary requirements please let me know. I look forward to seeing you all in August.